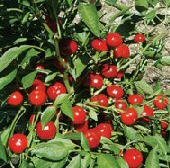 Plant produces good yields of small red cherry peppers. 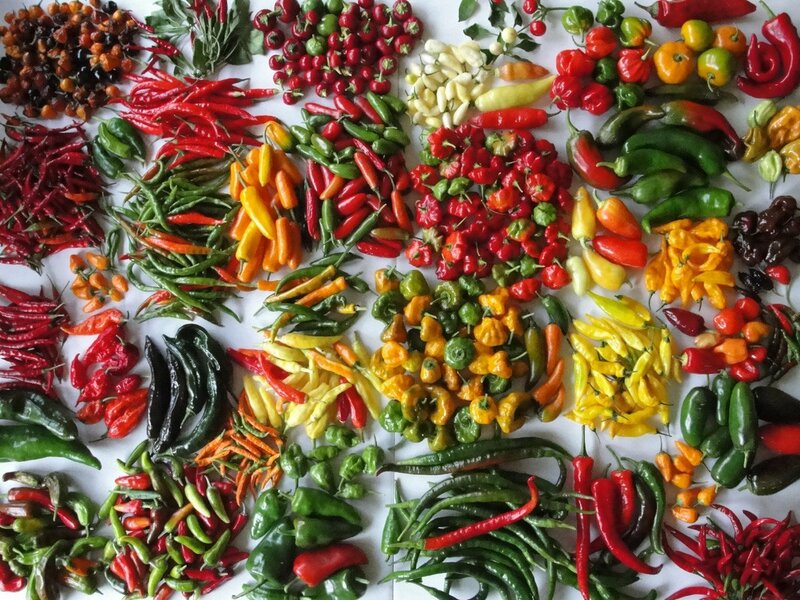 Peppers turn from green to bright red when mature. Plant has green stems, green leaves, and white flowers. Excellent for pickling or used fresh. A very attractive ornamental plant!